We have a new search feature on the Digital Archives. This new feature is under the Collections Tab. Click on the word Collections in yellow from our webpage and the current list of collections available to search on the Digital Archives will appear. The search feature allows you to keyword search the titles and title level descriptions of our collections. For example, you can search Okanogan and any record series title or title level description that contains the word Okanogan will appear. Searches may also include the words and and or. For example, search “Spokane and County” and anything in our collections with Spokane County will appear. This type of search is especially helpful for quickly finding the different county records we hold. We are in the process of updating and enhancing our descriptions of titles to give you a better idea of what is contained in each collection. We hope you enjoy using our website and the many search functions that we provide. We are constantly looking for ways to make records more accessible to you through the website. If you have any questions please contact us at digitalarchives@sos.wa.gov or 509-235-7500 x200. 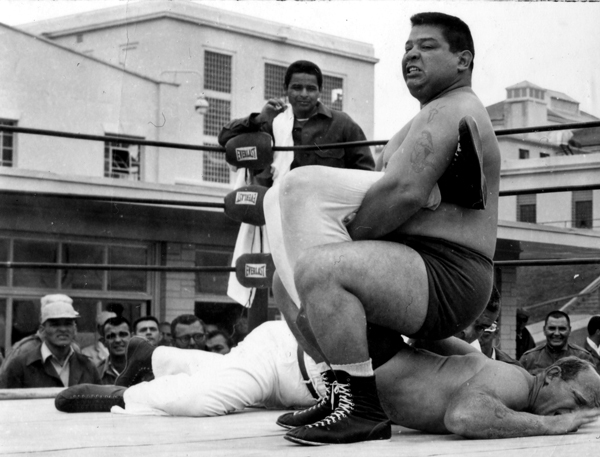 Wrestling, 1950-1970, Unknown, Department of Corrections, McNeil Island Corrections Center Photograph Collection, 1855-2010, Washington State Archives, Digital Archives, http://www.digitalarchives.wa.gov. Inmates at the McNeil Island Corrections Center were exposed to a host of activities to help pass the time. These activities are highlighted in one of our photograph collections, Department of Corrections, McNeil Island Corrections Center Photograph Collection, 1855-2010. To find these records, run a keyword search for the word “Prisoners.” Clicking on the Photographs results will show you the activities available to inmates. Some of these activities included inmate jobs, classes, and sports. We would like to share with you how we make the paper collections from the Archives available online. Currently, there are over 36 million searchable digitized records on the Digital Archives, but a very small percent of them are from the paper archives. Please take a few moments to read about how a paper record becomes available on our website. 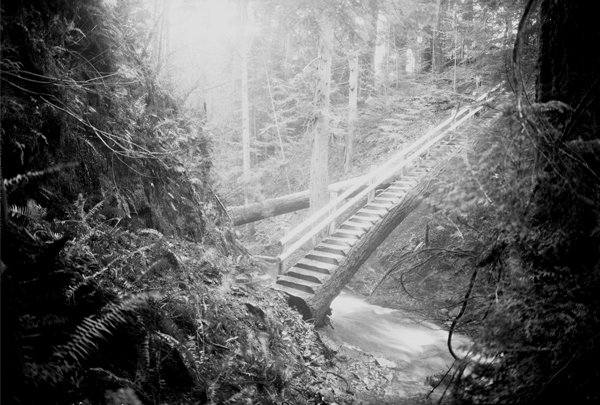 Bridge at Cascade Falls, Moran State Park, 1934, State Parks and Recreation Commission, Photographs of Park Development, 1933-1938, Washington State Archives, Digital Archives, http://www.digitalarchives.wa.gov. Moran State Park was founded on Orcas Island by Robert Moran in 1921. In the 1930s, the Civilian Conservation Corps, or CCC, part of Roosevelt’s New Deal, worked at improving the park. The CCC aimed to employ unemployed workers while teaching them skills to succeed in the job force. During their time working at the park, they used local natural resources to make improvements in the park for the public. Pictured above you can see an example of how they used logs to build a bridge at Cascade Falls. Explore 205 more photos of the CCC and their impact on Moran State Park, including their mascot “Billie the Buck,” by searching for the term ‘Moran’ in the Keyword search or by clicking here. 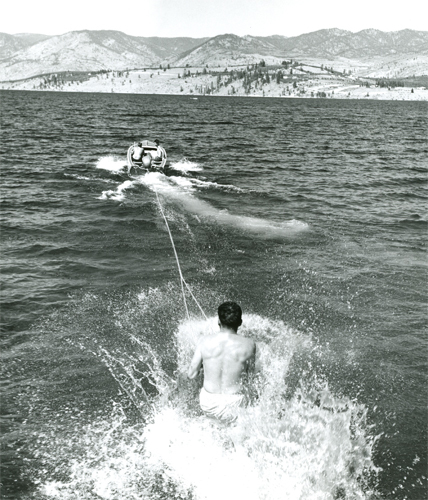 Water skiing on Lake Chelan, 1965, Scaylea, Josef, General Subjects Photograph Collection, 1845-2005, Washington State Archives, Digital Archives, http://www.digitalarchives.wa.gov. Are you enjoying the summer weather? I know this guy was. Back in 1965 these folks were waterskiing on Lake Chelan, enjoying the summer and relaxing on the lake. This photo was taken from the General Subjects Photograph Collection, 1845-2005. Since this collection offers great variety of photographs and a large span of time, it is a great way to browse through Washington’s history. The easiest way to access these photographs is to click on Collections, then the Photographs Collection and then select the General Subjects Photograph Collection, 1845-2005. If you intend to browse simply click Browse this series. The Local Records Committee works to protect your records held at local governmental agencies. 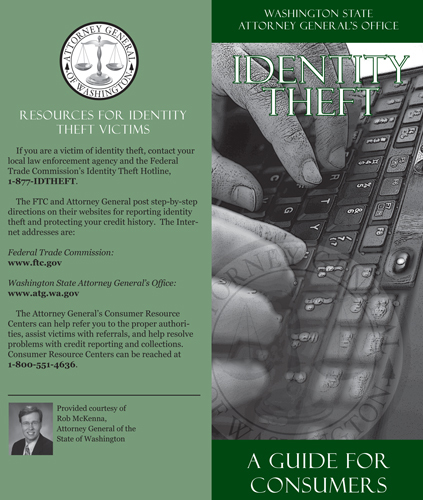 Here is a link to the Identity Theft Brochure, E-Publications, Office of the Attorney General, 2006. Have you ever wondered how long government agencies keep public records? Who decides which records can be destroyed and which to preserve? These are the types of questions addressed by the Local Records Committee, made up of the State Archivist, and representatives from both the State Auditor’s office and the Attorney General’s office. They decide the schedule and procedures for records retention, preservation, and destruction of public records produced and held at the various local government agencies. Click here to listen to the recordings of their meetings from 2007 to present. Photo Credit: Maggie Rail; donated to the Washington Historical Records Project, August 2009. Cemetery Records Collection. Looking for something to do this summer? Roslyn was a late 19th-Century mining town with a striking ethnic diversity, well represented in the town’s 26 cemeteries. These cemeteries have gained historic status, and are a great place to learn about Washington’s fraternal and ethnic histories. Here is the link to the Roslyn Cemeteries Map that list the following Cemeteries: Cacciatori D'Africa Cemetery, Croatian Cemetery #2, Dr. Starcevic Cemetery #1, Druid Cemetery, Eagles Cemetery, Foresters Cemetery, IOOF Cemetery, Lithuanian Cemetery, Masonic Cemetery, Moose Cemetery, Mount Olivet Cemetery, New City Cemetery, New Knights of Pythias Cemetery, Old City Cemetery, Old Knights of Pythias Cemetery, Polish Cemetery, Red Men Lodge Cemetery, Roslyn Memorial Gardens, Santa Barbara #39 Cemetery, Serbian Cemetery, Silvio Pellico Cemetery, Slovak Cemetery, Sokol Cemetery, Veterans Cemetery, and Veterans Cemetery #2 (County Cemetery). These cemeteries can be found in the Cemetery Records Collection. The titles listed include general information about each cemetery, their geo-location, how many people were indexed, when and how the surveys were conducted, and a total of 71 photographs of the Roslyn cemeteries. 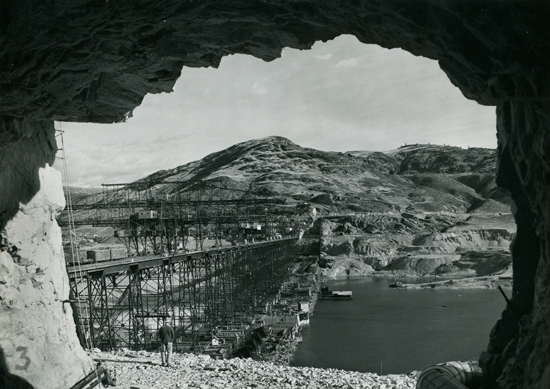 Grand Coulee Dam Construction, BLM 3000 Series, State Library Photograph Collection, 1851-1990. Grand Coulee Dam was the center of the Columbia Basin Irrigation Project. Built between 1933 and 1942 as a public works project of the New Deal, it provided irrigation to approximately 700,000 acres in Eastern Washington, making the desert bloom via the Banks Lake reservoir. Grand Coulee Dam also produces 21 billion kilowatts of electricity each year, and recreational opportunities abound on Lake Roosevelt, which lies behind the dam. There were costs as well: 77 people died during construction, small communities and hunting grounds disappeared beneath the new lake, and the dam brought an end to the great salmon migrations to the rivers and streams above. The Digital Archives holds other records containing information on the dam. A “Keyword” search of Grand Coulee Dam on our home page retrieves 477 minutes, ordinances, and resolutions, 93 photos, 74 corporation records, 34 audio files, and a few maps and state publications. The photo above can be found here. Map of the physical features and geographic provinces within the Columbia Basin Irrigation Project area. 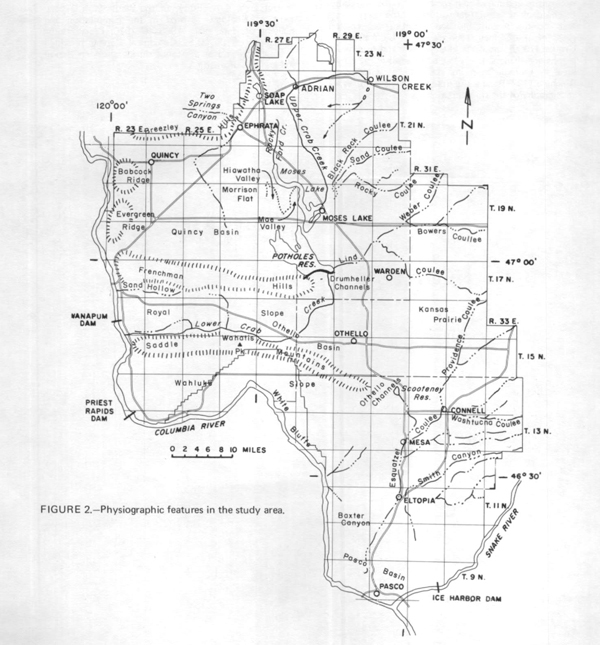 Digital-Model Study of Ground-Water Hydrology, Columbia Basin Irrigation Project Area, Washington; 1974 Department of Ecology report. E-Publications Collection. The Columbia Basin Irrigation Project was authorized by President Franklin D. Roosevelt in the 1930s as part of the U.S. Bureau of Reclamation’s effort to water the west. The project area covers over 1 million acres, of which nearly 700,000 are currently supplied with irrigation water from the reservoir (Banks Lake) near Grand Coulee Dam. 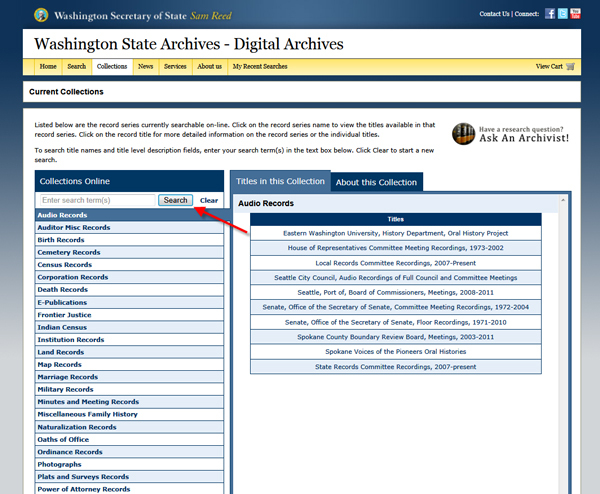 The Washington State Archives has the following records about the project online at the Digital Archives: 1,391 minutes, ordinances, and resolutions, 145 audio records, 5 maps, 4 photographs, and 1 e-pub. Do a keyword search on “Columbia Basin Irrigation Project” to find them; and watch for the upcoming treasure on Grand Coulee Dam. Columbia County Court House in Dayton, Constructed in 1887. 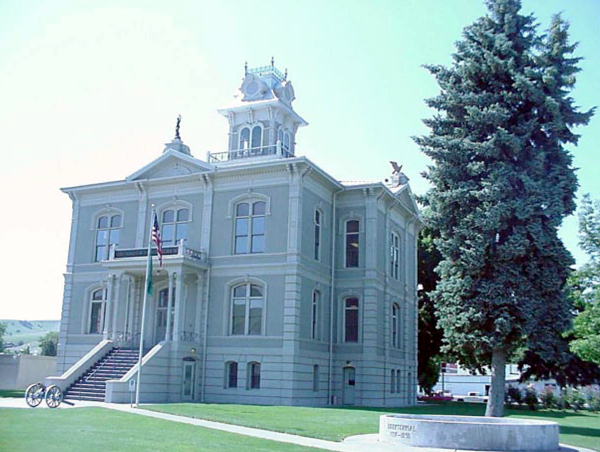 Washington State Historic County Courthouse Assessment, 2003. E-Publications: Department of Archaeology and Historic Preservation. The Department of Archaeology and Historic Preservation electronic publications are just one set of the many and varied series found in the E-Publications Collection. There are records and general information available from several boards, commissions, and various governmental offices. Articles from these agencies range from studies and reports, to advertisements, old college catalogs, class schedules, and so much more. Many of the reports by these government entities provide historical background on the places, cultures, and economics of Washington State – an excellent source of information for historians and genealogists. 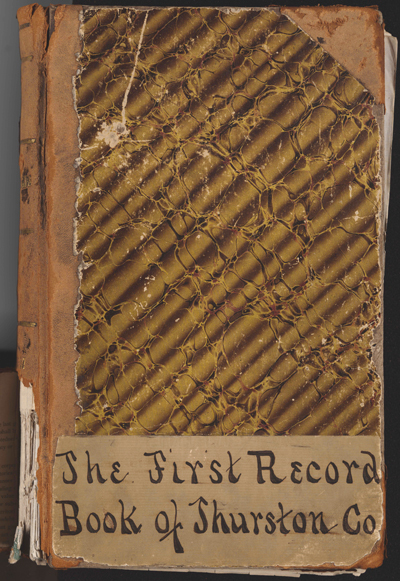 Thurston County’s First Record Book, 1852-1857, Miscellaneous Family History Collection. One transaction of 06 September 1852, page 15 in the book (page 19 of the digital record). Thurston County First Record Book, Miscellaneous Family History Collection. Asotin County Frontier Justice Criminal Case File: Charles Heiby Accused of Horse Theft. Click here to view all 38 pages. The Frontier Justice Collection consists of valuable information about laws and justice throughout the Territory of Washington prior to statehood in 1889. One of the counties’ records in the collection, Asotin County, has been scanned so in addition to the general information about each case, you can see the actual court documents. Of the 277 items in the Asotin records, there are 8 probate, 21 criminal, and 73 civil court cases. The types of cases include: collections, foreclosures, deeds, divorce, custody, guardianship, estate administration, adultery, murder, fornication, horse and cattle theft, burglary, and illegal liquor sales. The criminal and divorce cases can provide quite an amusing read – Enjoy! Asotin Frontier Justice Records. Colville Tribe – Colville Reservation Indian Census of 1891. Recorded by Hal J. Cole, United States Indian Agent. Federal censuses between 1790 and 1840 did not include American Indians; 1860 was the first time they were included in the general population, provided they lived near a military fort. The census act of 1879 authorized the enumerations of all Indians within the United States. However, it wasn’t until the census act of July 4, 1884 that Indian agents/superintendants were required to include all Indians – those living on reservations and those living within the general population – on all censuses taken thereafter. The Office of the Secretary of State’s Historic Records Project and the State Archives are in the process of making these records available online through indexing and digitizing the Indian Census rolls for Washington between 1884 and 1940. Not all reservations, nor groups, are included in the collection, but there are 29 tribes recorded in all. Three titles are currently available online: The Columbia Tribe (1887-1910), the Colville Tribe (1890-1907 & 1911-1914), and the Couer d’Alene Tribe (1887-1902), all of which are from the Colville Reservation census rolls. 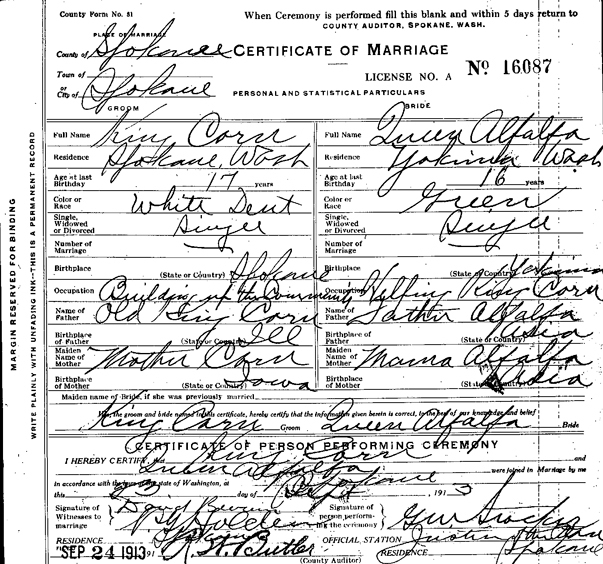 1913 Marriage Record, Spokane Marriage Records, Washington State Archives – Digital Archives. 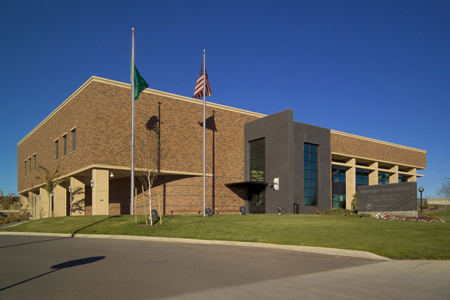 Original record held at the Washington State Archives – Eastern Regional Branch in Cheney, WA. 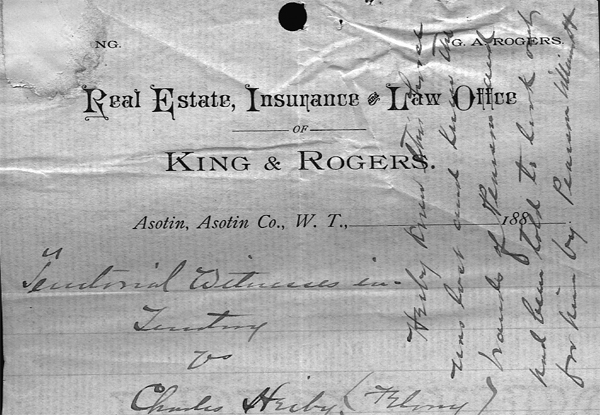 A scanning project at the Eastern Regional Branch of the Washington State Archives turned up this unusual marriage record from 1913 between King Corn & Queen Alfalfa. “King Corn” is entered as a resident of Spokane, age 17, race as “White Dent,” and occupation as “Building up the Community.” “Queen Alfalfa” was 16, a resident of Yakima, her race was “Green” and her occupation was “Helping King Corn.” Research by Lee Pierce, Archives Assistant, revealed that the marriage license was part of a publicity stunt for a local agricultural fair. 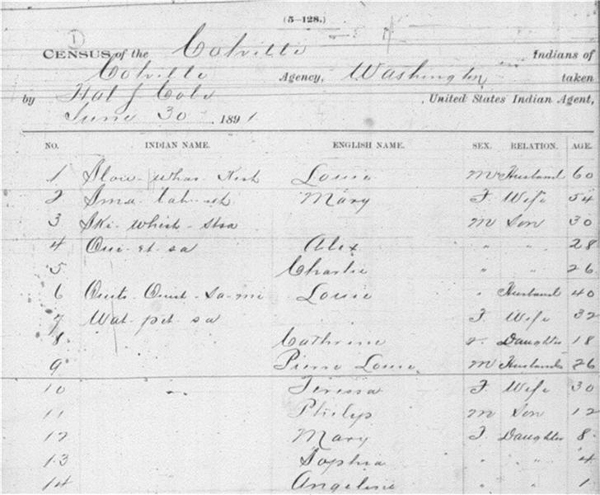 Click here to explore thousands of Washington marriage records online at the Washington State Archives, or contact our State Archives research team at research@sos.wa.gov. Thanks to all who responded to our 1-minute survey. There was an overwhelming response and thanks to you we have learned several important points. First, 95% of you supported an increase of $1.00 to the filing fee collected by county recorders, with the biggest group supporting an increase to $5.00. Second, nearly 40% have used the Digital Archives at least 26 times a month. Amazing. Third, more than one-third of you had visited or used other branches of the Archives, some more than 10 times a month. 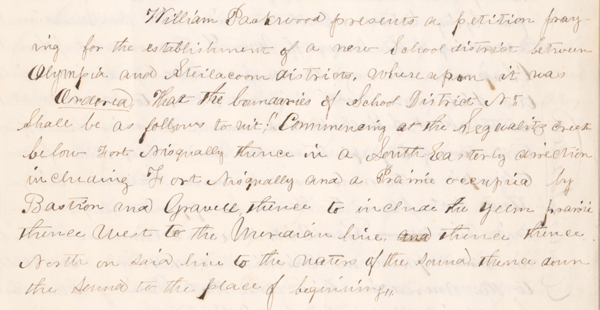 And finally, 181 volunteered to follow up with the State Archivist to answer additional questions and provide us with more comments on what you would like to see. We sincerely appreciate the feedback and use this information to ensure we continue to meet your research need. The State Archivist will be in touch with those who indicated a willingness to provide more details about their use of the Digital Archives. 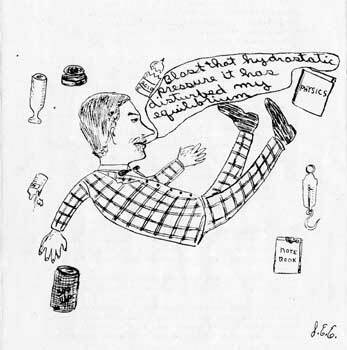 Image from the Olympia High School "Olympus," Volume 4, No. 1, Page 20 (November 4, 1904), found here. E-Publications. Did you know that most records found on our website can be shared with your Facebook friends? Whenever you come across a record you particularly enjoy or find amusing, simply click the button (next to the printer icon), to let all your Facebook friends in on your discovery. Parcel Number 685170-0095, King County Real Property Record Cards, 1937-1972, Real Property Record Cards. Few people know that the 44th President of the United States once lived in Seattle. Stanley Ann Obama lived with her infant son in a second-floor apartment in this Capitol Hill home while she took courses at the University of Washington during the 1961-1962 academic year. 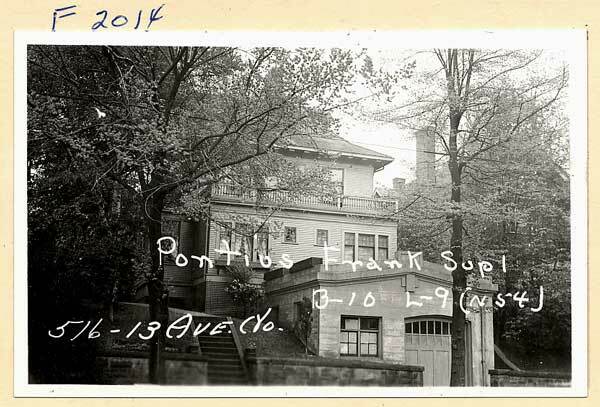 The house at 516 13th Avenue East has long since been razed to make way for an apartment building, but you can still view a photo of the building—and thousands of other King County properties—at the Washington State Digital Archives website. Click here to browse the King County Real Property Record Cards Collection, 1937-1972. 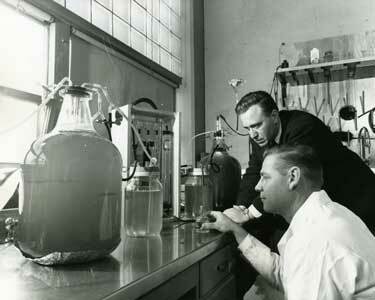 Looking for space food: Biochemistry at Boeing, 1959 (Tweet from 17 October 2011). State Library Photograph Collection. Did you know that you can also follow us on Twitter? Each week we highlight different collections, the most current accessions, or new happenings at the Washington State Archives. Our profile name is WADigitArchives, and here are a few previous tweets. Photo Credit: Maggie Rail/Matt Morris, April 2000; Chief Joseph Cemetery in Okanogan County. Cemetery Records Collection. Currently, the cemetery records series provides indexes to 347 cemeteries across the state. Each index was created by volunteers who put boots on the ground to gather information from each gravesite - not an easy undertaking (pun intended). These volunteers not only catalogued each gravesite for the indexes, but they also conducted research in order to provide some background on the cemeteries. 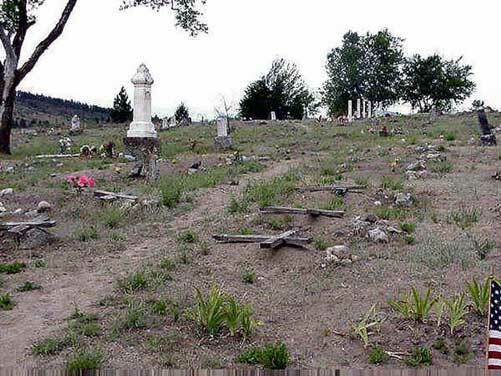 For example, Maggie Rail writes of Greenwood Cemetery in Whitman County: "The first listed burial in the cemetery was in Oct 1878, which is when it was the Oregon Territory. 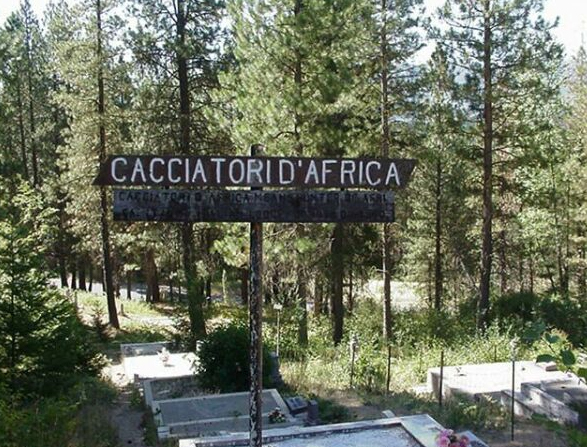 This means the cemetery must have been established about that time. There are two other burials that year, one in November and another in December. After walking this cemetery and seeing so many vacant spaces in the older sections, I am convinced there are many unmarked graves, which I do not account for. I will continue to try however to see if I can find more early records." This is but one sample of the great effort put forth by the volunteers, many of whom are members of the Washington State Cemetery Association, in order for the public to have online access to this wealth of information.